Oh, No! My Check Engine Light Is On! 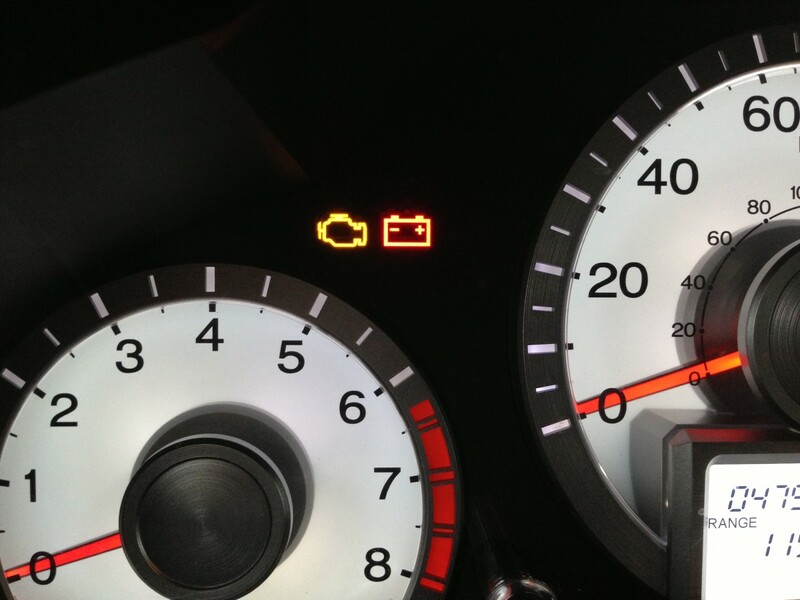 The purpose of the "service engine soon" light is to warn the operator that sensors in the vehicle have detected a malfunction. When we first see this little light on our dash we get a little worried at the potential cost of the repair. Immediately we assume the worst and fear a bill in the hundreds or thousands of dollars. It's true there may be a major problem with the engine or one of its components, but often, it is something that can easily fixed by the car's owner. The "service engine soon" light could just indicate a faulty gas cap. 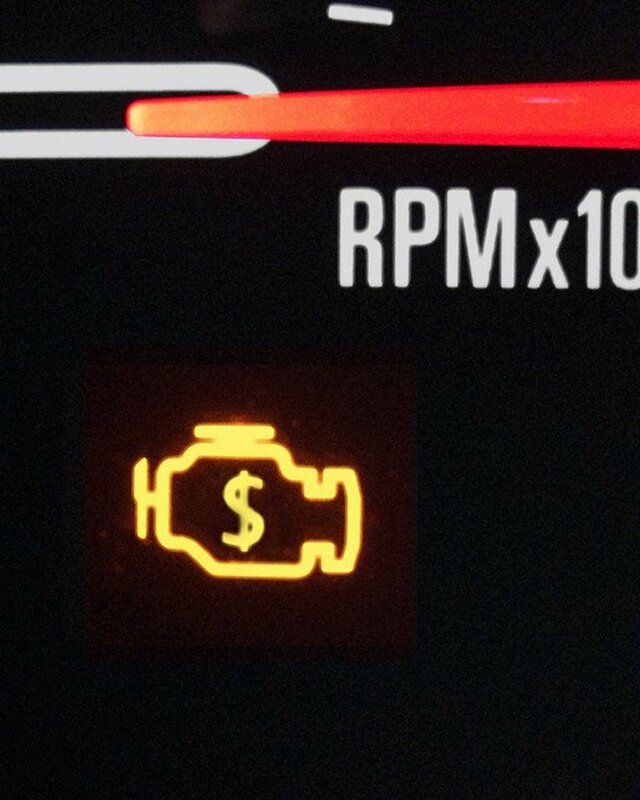 What Is the Purpose of the "Service Engine Soon" Light on Your Dash? The initial effect of seeing this little light on your dash is to scare the living gezebbes out of you. Immediately, you assume the worse and fear that you must spend hundreds or thousands of dollars to "fix" your car. 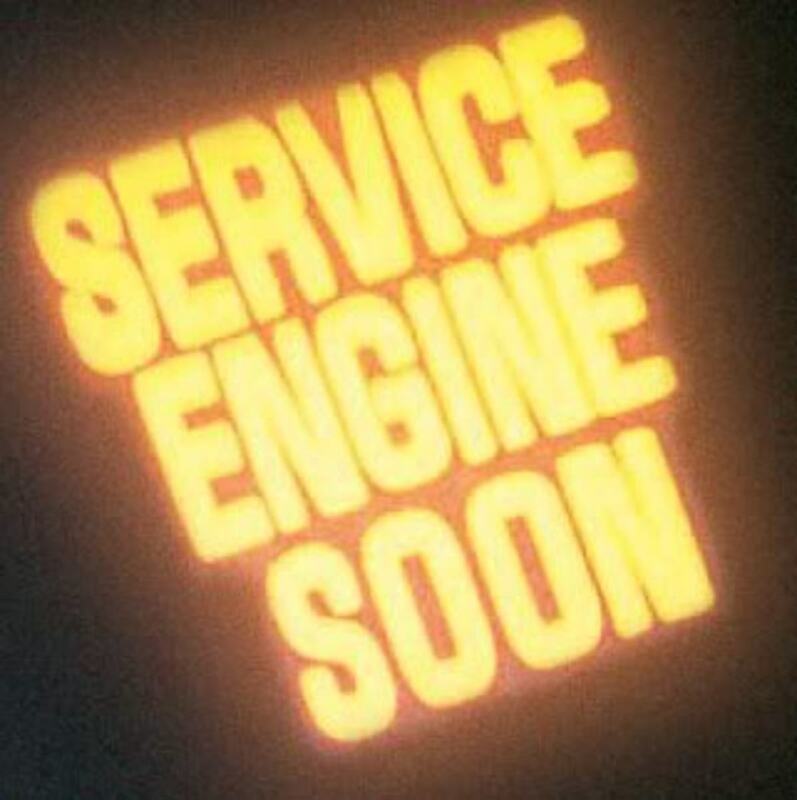 The intended purpose of the "service engine soon" light is to warn the operator of the vehicle that a malfunction has been detected by sensors in the emissions system of the vehicle. There may be a major problem with the engine or one of its components, but it's usually a minor issue. The culprit could be as simple as having a loose or faulty gas cap. Before you drop hundreds of dollars at the garage, tighten the gas cap, make sure your gas tank is more than half full, and then drive for about half an hour. If the light does not go off, try buying and installing a new gas cap. They cost less than $10 at your local car parts retailer. 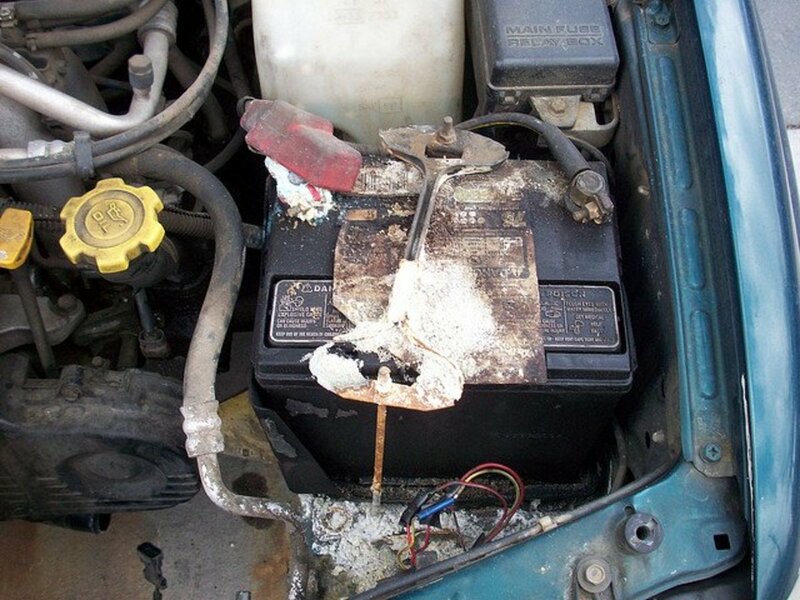 It is worth ruling out this common problem before proceeding to bring in the vehicle for an expensive service call. It Wasn't the Gas Cap? Well, I know people who tell me that their light has been on for the last five years! I personally wouldn't go that long without doing something about it. If the light is on solid, you most likely have an emissions issue, not necessarily urgent, but one it would be wise not to avoid. If the light is blinking, you have an urgent issue and must go immediately to a garage. The problem could also be something like the oxygen sensor, which monitors how much unburned oxygen is being released with the exhaust. Not changing the oxygen sensor promptly may cause damage to your catalytic converter, a part that could cost as much as $2000, while an oxygen sensor may cost from $20 to $120 depending on your vehicle. 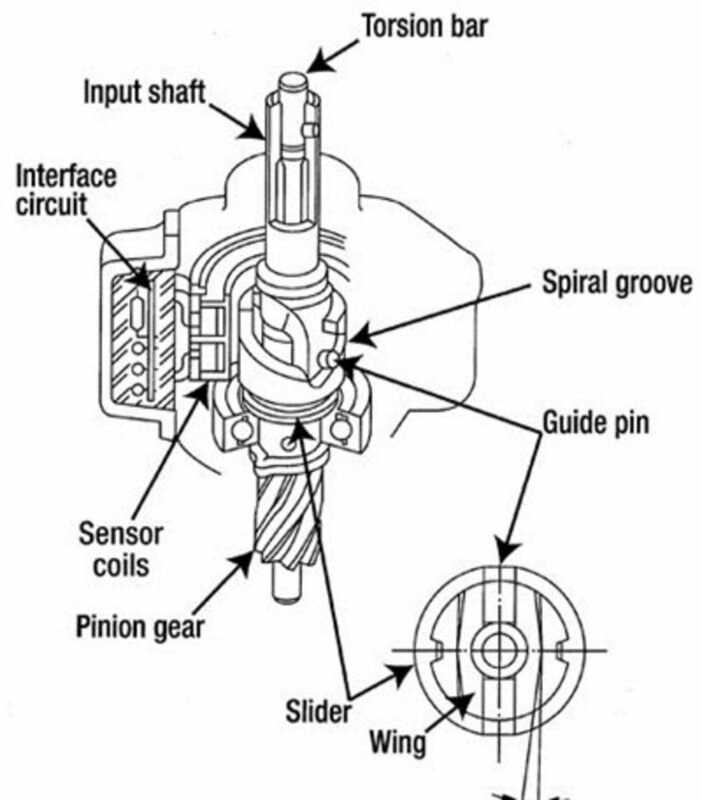 If you are "handy" it may be possible for you to change the oxygen sensor yourself. The procedure is usually detailed in your owner's manual; it is usually as simple as removing the old sensor and popping the new one in. Doing it yourself will cost you much less than going to a garage. Other problems could be a dirty or defective MAF (Mass Air Flow) sensor). A possible cause of a dirty or defective MAF sensor is failing to change your air filter, or installing the air filter improperly. You can try to buy a can of MAF sensor cleaner for $10, but a word of caution as these sensors are very fragile. A new sensor can cost between $75 and $200, depending on your car model, and is easy to install. Another possible culprit triggering the "service engine soon" light is misfiring spark plugs. 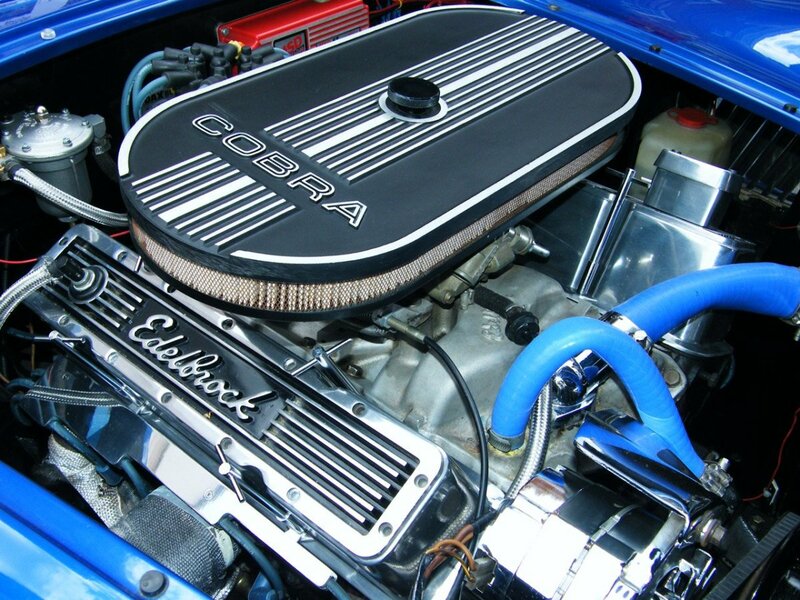 Spark plugs on older vehicles (before 1996) needed to be changed every 40,000 to 50,000 kilometers; on more modern vehicles spark plugs can go to 150,000 km before needing to be changed. Faulty spark plugs can cause your engine to misfire. If you feel your engine falter occasionally, or the engine has a jolty feel under acceleration, your engine is misfiring and throwing off your fuel efficiency. So how do you know for sure whether it's spark plugs, MAF sensor, or something else? Bite the bullet and bring the car to the mechanic. You car will be fixed and your mechanic's kids will have a nice Christmas. Or, you can at least do some of the investigative work yourself by getting a code-scanning device. A code scanner or OBD II (On Board Diagnostics II) scanner ranges from $10 on eBay to $200+ for a really good one at your local auto parts store. The savings can be tremendous after a couple of "service engine soon" light incidents. The initial cost of a mechanic's visit will start at $100 just to get the error codes from your car's onboard computer. Add a couple hundred for labour and inflated costs for parts, and your mechanic is happy to see you every time. Or you can spend money once on the OBD II code reader, get the real low down on what is happening for yourself, find your own parts, and save a bundle. The cost of the OBD II code reader will cover itself with every error light incident. It can also be used on several cars to maximize savings. If you are not comfortable with the installation of certain parts, you can do your own diagnostics, buy the parts yourself, and leave the installation to the mechanic; you will still save at least 50% of what it would have cost if you left it all to the mechanic. Hey, he's gotta eat, you know? My "Service Engine Soon" light stays on. What should I do to fix this? If you are not capable of handling it yourself, or feel you do not know enough about cars, then you should definitely seek the help of a qualified technician. Otherwise, follow some of the advice in the article to the best of your ability, again get professional help if it gets too difficult. Why does the tire pressure light blink? I think it may mean that the battery for the pressure sensor is low. Another possibility is that the pressure gauge is damaged or malfunctioning. My car shakes and the service light is on, what could be causing this? Your car has a serious problem! I can not fully diagnose here, but it sounds like a misfiring cylinder. That would cause the engine to run very rough. Get to a garage/qualified mechanic as soon as possible. It may be as simple as just needing new spark plugs, or it could be something much more serious. Your mechanic will have the correct tools and knowledge to fix the problem. Hello you all, please recommend me a good not to special one, just a good OBD 2 scanner for DIY person, thanks. I was looking to find out why my Service Engine Soon light was on. Lot of helpful information. I have a 2010 Nissan Rogue. My service engine light soon has been on for a couple weeks. Not blinking, steady. Was due for an oil change so it's at shop now & my mechanic is gonna check lite. Seems to be running fine, but was a little over due for oil change. Could this be why light has come on? The check engine light is nothing more than a mechanics hook. it is installed to make the unwary driver believe there is a major problem with the car, therefore believing that it is necessary to take the auto to a garage for a costly fix. Attention to the auto on a daily basis, a little knowledge of auto mechanics will save a person hundreds of dollars for unneeded repairs or garage scams. That unit looks cool because of the smart phone interface, how much is it? I wouldn't pay to much. Check out Ebay and see if you could find a better deal. the main problem the light comes on is when the injectors get gummed up the light comes on (this is what i find on my car) so to get rid of the light simply put some fuel injecter cleaner .when my light comes i fill up the tank and i put some that 5 doses in one brand after puting in and driving on third day the light goes out,so just put one dose of cleaner once a month. I have a 2003 Buick Century, V6. My "Service Engine Soon" light has been coming on for about 6 or 7 weeks now; When this happens, I experienced this inconvenient problem 4 times; all on the Highway traveling at a very fast speed of 60/65. When this happens, I lose power from the engine and the car cuts off completely. I had the car towed to Pep Boys for diagnosis and was told that I need to replace the Fuel Pump & Fuel filter. I did this and after about 2 weeks; it happened again and the car was again towed to another mechanic's shop, he diagnosed it and said the Air Flow Sensor needs to be replaced. I had them order it and it was replaced; drove the car for about a week or so and today; I experienced the stoppage of the car on the Freeway again; my frustration level has increased and I am in a state of confusion. I came on AxleAddict site to get some professional advise to find out who could tell me or suggest to me what I really need to do to solve this problem. I NEED YOUR HELP, PLEASE!!! Thank you. I will try the gas cap to see if that is the problem. Thanks for the info. I just changed the plugs and wires in my 2000 Booneville SSEI after it was sputtering under acceleration. I also replaced the Ignition Control Board. The misfires stopped. Now today my SESL came on and I think it might be my fuel injector. Either way I'm screwed. could a sludgy oil or plugged Oil filter cause the service engine soon light to come on ? I have a 2004 maxima. I want to set it on fire. I had transmission problems, but will keep quiet about it lest I jinx myself. Anyway, problem is the check engine light. The codes coming up are for oxygen sensors. I've had them all replaced with some running over %100 and the light still comes on, same codes. Mechanics had it four times, told me to take it to the dealer. Dealer had it about 8 times, actually wiped the computer and reprogrammed it from scratch, light still came on, same codes. It's been almost 2 yrs now, the longest it stayed off was a week when they wiped the computer. I had them do a "hard reset" to get the emissions done and the light stayed off for 200kms. Ok truthfully, I've had the light shut off and come back on so many times that I know it comes back on in 211kms exactly, sad I know. The dealer couldn't figure it out so they came up with a story about having an after market exhaust, and it 1/16th of an inch smaller so it's reading it wrong...blah, blah, blah...you need a new exhaust for $2500.00, even thought mine was 6 months old at the time. The guys that did the emissions said the codes had nothing to do with the exhaust, it's about the mixture, it's running too lean or something. At this point I feel like taking a screw driver and poking the f**king light out myself. My gas cap is fine, you can hear the pressure release when you open it so I know its working. I've had so many problems with this car, it blows headlights at the drop of a hat, at $100.00 a bulb thats a pain. At this point if I can just get the damn engine light to stay off, I may consider not setting said car on fire. My service light has been on for 8 years. I take it to an auto supply store and they check; it is nothing big; I wonder, tho, if this is why my mileage has gone down on my 1996 Dodge Caravan with 290,000 miles -- and i am still driving it daily! have a 97 caddy my service light has come on once every 6 months I got into the habit of disconnecting my battery then light goes off does not come back on car runs great I've been doing this for about 2 years dealer does oil changes and doesn't find nothing wrong but I don't mention light if I did ide be paying who know how much.so going to get a scanner with all the money I saved. 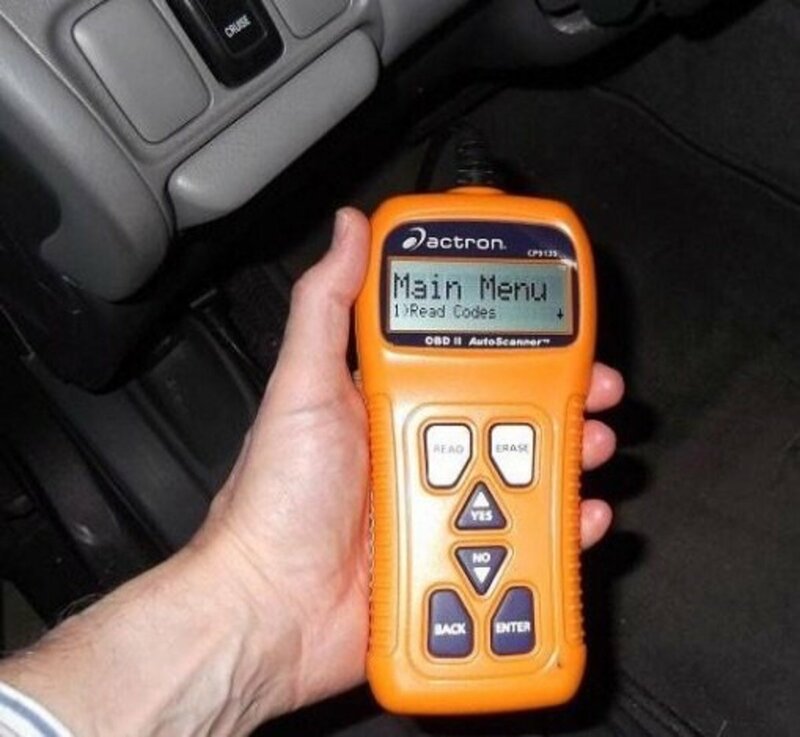 thanks for your post about OBD scanner. Nissan huh, I had an '06 Versa that had so many issues.... I won't be getting another Nissan anytime soon. Thanks for the service code hack! Once you pump your gas in this manner, your light will begin to blink. Count each blink and you'll get the service code #, then check what the internet says is the cause. You can reset the service light yourself and it turns off. If the light comes back on right away then there's an issue, if not maybe just a fluke. My engine light came on and I didn't want to spend the money to figure it out, without reason, so I investigated it myself and reset it. Last 7 months car ran fine with no issues. Light just came on again tonight with exact same code. I repeated the steps and light's off now. Mechanic said car has no issue. Mine is a 2004 Nissan Sentra, perhaps its just showing its age. This is exactly what happened to me last October. I have a 2006 Toyota Scion XB. The dash lights lit up light a Christmas tree. What did it mean? I was in a total panic and had visions of a repair costing thousands of dollars. Took it to an AutoZone store and the employee ran the diagnostic for free. First suggested fix was to replace the gas cap. Just cost a few bucks. Took a day for the pressure sensor to settle down but it worked! Thanks, not so in the dark now. Glad that I googled "service engine soon light". I was thinking when the light came one, OMG thousands of dollars that I don't have. My car is 15 years old and I pray that it last another 10 years. I am not concerned about the light after reading this. My stress level went down. I will do the gas cap thing and go from there. Just curious, did you try just changing your gas cap? I had a 2006 Versa that had a bad gas cap. Changed it and the light went away after 45 minutes of driving on an almost full tank. Hi. I have Nissan altima 2000. My car dashboard is showing solid service engine soon from last 6 months. When I go to mechanic, he use to say ignore it. But I always use to afraid before driving. How can I get rid of it? No I haven't tried changing it, I guess I can try that and see If it works. Hi... My service engine soon light came on like 3 weeks ago.. I took it to the mechanic and they replaced the Map Sensor, the camshaft sensor, spark plugs changed and the light still comes back on. It's off for a little bit after each service but the light still comes back on. I can't afford to keep spending money and not getting the issue resolved.. I'm at a loss and suggestions? Hi Carolyn.... not sure, is your car ok now? You should have a competent mechanic look at it. Keep in mind if it's a flashing engine light you're problem is more severe than if it's on solid. Add Your Comment..my car got stuck in snow and trying to get it out my car started over heating and my check engine light came on what do u think ? It's a 2002 ford mustang I don't believe my fan was working. Have similar problem with my SUV. And after 10 days or so, the light was off. I noticed that when I'm driving/speeding on the highway, the light goes off. My friend has a scanner and the code read 0304, which implies catalyst converter problem. But right now no light. .... what do you think guys ?? My car is due for spark plug change. Could this be a reason. .. ?? It eased my mind a little to know that it isn't as urgent if the "service engine soon" light is constant instead of blinking. Hi Andy, Thanks for liking my artilce, Yeah it takes a while for the light to go on, as well as off. With the gas cap scenario, I think it has to do with the pressure in the tank, when the cap is loose, the pressure drops and triggers a sensor that there's an emissions problem. I looked at the article you mentioned as being similar, I found it to be very brief in comparison to mine. We do share some of the same terminology, but it's all common knowledge. Great post. I came across a very similar article on http://service-engine-soon-light.com is it true that it can take up to 200 miles for your light to trigger? Thanks earkwell! Makes perfect sense now.... OBD On Board Diagnostics. Hi Angie, What was wrong with your car? It fixed itself? Had my check engine light on as of after 5 mins of driving it on a Saturday. It felt like it was not running on all the cylinders, jumpy at a stop light and revs were low. I was nearly on E. Filled it up Monday on the way to work, Tuesday afternoon car is running normal and light is off. LOL - Gotta love cars, wish we could fix ourselves like that!. I hope it's nothing to serious! After you check or change your gas cap you should have at least 3/4 of a tank of gas and depending on your car, it takes between 20 and 40 minutes of driving for the pressure in the tank to go back to normal. At that point the light will go out, if it's the cap. Great information! My light came on the other day and I did the gas cap check, but the light's still on. I didn't buy a new gas cap though - I'll have to try that before taking it in to the shop. Wow! TruSoulDJ, did you get the light to go out? Thanks for this article. My light HAS been on 5, well, maybe 3 years. I might use some of the information in this hub in the future. Great work though.